Of all of fly fishing's many opportunities, fishing the film still holds the greatest attraction for the fly rodder in any water type. Fish feeding at the surface film are not necessarily eating "dry flies"; they might be feeding on emergers, nymphs, minnows swimming near the surface, mice or frogs swimming in the film, and other organisms utilizing the uppermost layer of the water. 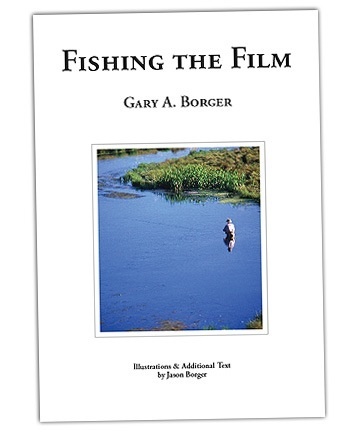 In this book, Gary Borger covers the skills necessary for successfully fishing the film, including an understanding of what fish see when feeding at the surface. There's a thorough look at the food organisms of the film zone and Gary reveals the secret of the Universal Emerger, hatch types, rise forms, and much more. 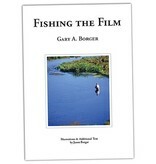 The book contains a host of tactics for fishing the film, including both dead-drift and action-packed presentations. A chapter entitled, "What, When, Where, Why, and How" details the presentation tactics for fishing stream and lake situations. Throughout the book, the "how to" is animated with stories that stretch back over half-a-century of Gary's fly-fishing life. Complementing all of this is a collection of black-and-white illustrations by Jason Borger.